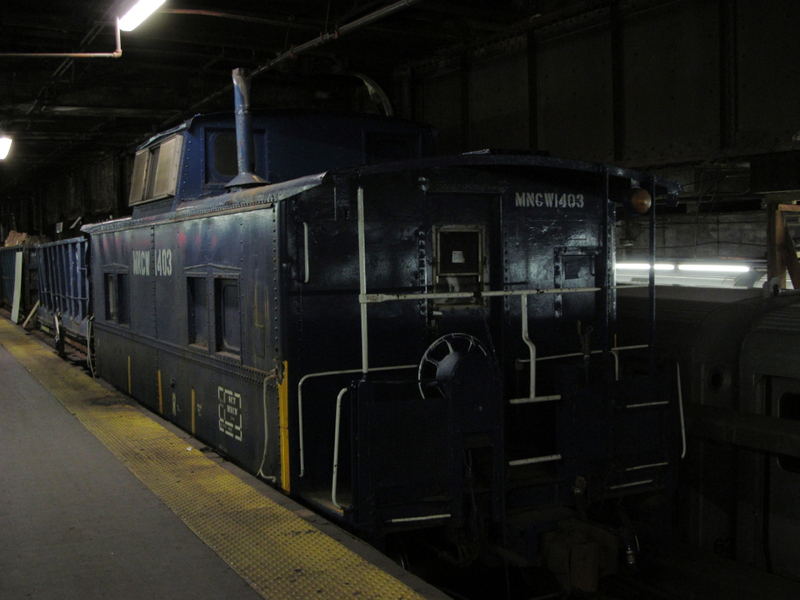 I love finding old things, so I was pleasantly surprised to see this caboose sitting on Track 14 at Grand Central Terminal as I was catching a rush hour commuter train out of New York. It’s easy to recognize a caboose from children’s books and model train displays, but they’re actually quite rare. They were mobile offices and living quarters for freight train crews, but these days most trains run with two-person crews that can easily be accommodated in a locomotive cab. Hauling around an extra car that doesn’t produce any money for the company may be romantic, but it doesn’t make business sense. That makes this caboose a survivor. Perhaps it was forgotten in this dimly-lit corner of Grand Central, or left because it was too difficult to move it through the terminal’s web of tracks to a scrapyard. Maybe it’s been sitting for years, like a time capsule. Actually, there’s just no point in throwing away something that you still have a use for. Metro North, the commuter rail agency that serves points north and east of New York City, keeps this caboose for physical plant maintenance. The letters MNCW on the side of the car are the “reporting marks,” basically official initials, used for Metro North’s maintenance equipment. That explains why this caboose isn’t in a museum, and why this freight car is sitting on the platform of one of America’s most famous passenger rail terminals. It was coupled to some flatcars with garbage dumpsters on them. Apparently, it’s part of a train that hauls trash out of Grand Central. This old caboose won’t become a subject for moody urban explorer photos just yet, and that’s fine with me. There’s nothing wrong with admiring historic objects for their oldness, but they were designed to serve a purpose, not to be gawked at. Countless buildings, railroad cars, and other artifacts have outlived their usefulness, but this caboose hasn’t.